Bella Kuo Director, Quality Assurance Ms. Kuo has more than 19 years of experience in the pharmaceutical industry. Prior to joining TLC, Ms. Kuo was the associate head of project management, responsible for project/grant management at PharmaEngine Inc. Prior to PharmaEngine, Ms. Kuo was Project Manager at TTY Biopharm Co., Ltd., where she established the R&D management process and was responsible for the management of SBIR’s small chemical compound projects and liposome formulation grant projects. At TTY Biopharm, Ms. Kuo successfully assisted the company in winning the Industrial Technology Development Award of Ministry of Economic Affairs. 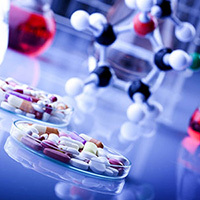 Before TTY Biopharm, Ms. Kuo assisted government-sponsored projects such as pharmaceutical facility audits, cGMP guideline drafting and training programs at the Pharmaceutical Industry Technology Development Center and Taiwan Parenteral Drug Association. Ms. Kuo holds a bachelor’s degree from the Department of Animal Science and Technology, National Taiwan University. She also holds a graduate certificate in Engineering and Technology Management from George Washington University.